MANILA, January 27, 2016: It is often said that Metro Manila’s (and the Philippines’, for that matter) condo market is booming that high-rise residential towers are quickly becoming a common sight when one drives around the metropolis. These condo projects come in different designs and architectural styles, cater to different market segments, and offer a whole gamut of amenities that may range from the usual (lap pools, gym, and gardens) to the really exceptional. Not only has this practice of incorporating exciting amenities becoming a trend, it is helping property developers boost their condo sales, as unique services and amenities help set them apart from the competition. MyProperty.ph lists six noteworthy condo amenities that many condo dwellers will surely appreciate. 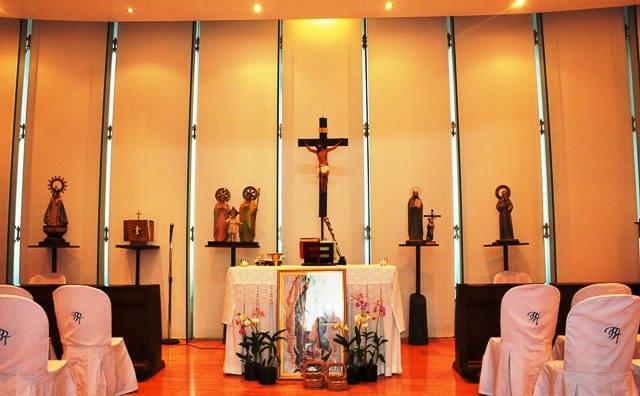 there are a number of condo projects in Metro Manila include chapels in their list of amenities. One of them is the luxurious, 52-story twin towers Pacific Plaza located along Fourth Avenue, Bonifacio Global City, Taguig. Their chapel, where a mass is regularly celebrated, is located on the ground floor and connects the two towers. Over at Makati, Discovery Primea, the country’s tallest hotel–residential building that opened in February 2015, also has a chapel on its third floor. When one mentions an amenity related to sports, a basketball court immediately comes to mind. However, as not all definitely enjoy this basketball, developers are now giving their residents more options, and DMCI Homes’ Arista Place is one such condo. Comprising 11 medium-rise buildings, Arista Place has badminton courts for residents who enjoy this sport. 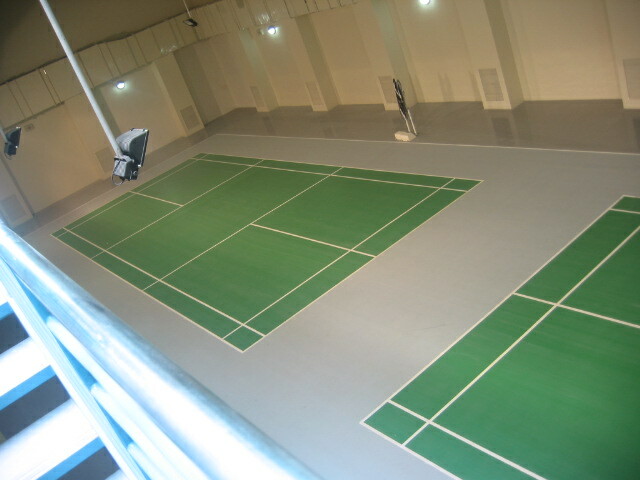 Another condo that offers badminton courts is Ayala Land Premier’s luxury project One Serendra in BGC. 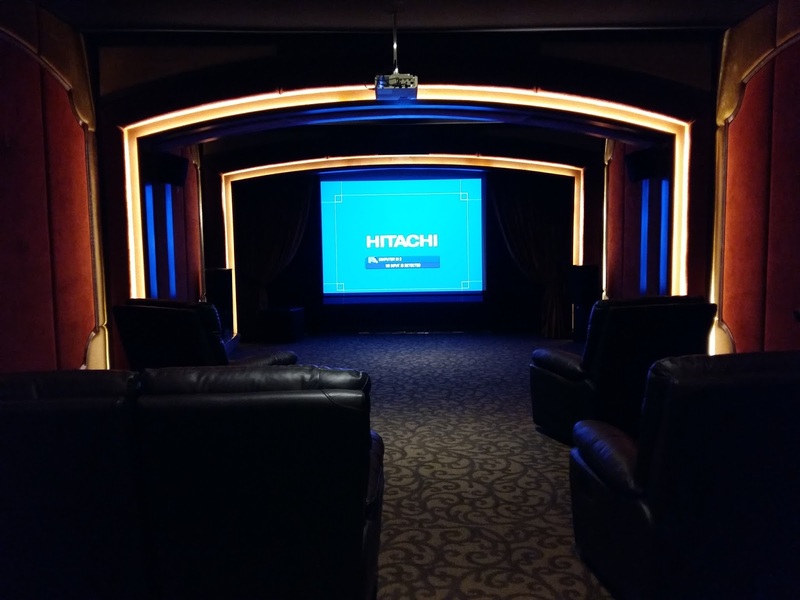 If you’re up for a movie marathon, what better way to do it than in a theater of your own? Several condos offer their residents exclusive use of their cozy and comfy mini theaters, complete with reclining chairs, wall-to-wall carpeting, a surround-sound system, and a high definition screen. Families and friends can enjoy a day or night of private screenings; they just schedule a reservation with the condo’s admin office, pay a fee (if any), and they’re good to go. Conceptualized as an exclusive club in a condo, Admiral Baysuites in the premium side of Roxas Boulevard has a mini-theater that can accommodate up to 15 people, all in LazyBoy reclining chairs. The Gramercy, the Philippines’ first fully furnished, hyper-amenitized, and fully serviced residential building, has a Director’s Club that lets residents select movies from their DVD library and watch them in comfortable mini sofas. 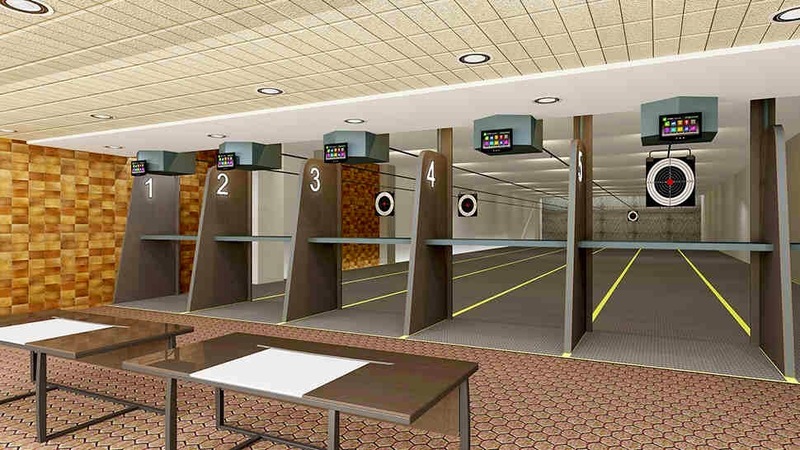 Firing enthusiasts will definitely get their kick in Victoria Sports Tower, New San Jose Builders’ 26-story residential building near MRT’s GMA-Kamuning Station. The tower’s main feature is its four-story sports complex, which will have areas for various sports. One of the unique sports offered by the tower is a shooting range, which will have five range lines. If you’ve always wanted a beach in the metro, then Century Properties has you covered. Their nine-building residential development in Parañaque, Azure Urban Resort Residences, has Metro Manila’s first man-made beach. 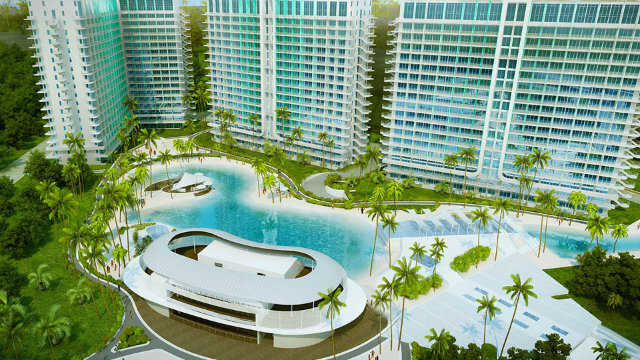 This upscale development will surely give you the satisfaction you need, with its fine white sand from various beaches in the Philippines, waves, and mini waterfalls. Adding to the glamour of this beach-inspired project is international icon and Azure endorser Paris Hilton, who worked with the company’s creative team to design the property’s Paris Beach Club, and even visited the project for its inauguration in 2014. Rising along the northern banks of Pasig River in Mandaluyong is Acqua Residences, another project by Century Properties. This project has six residential buildings, each named after some of the world’s most famous waterfalls, uses water as a design inspiration. When completed the project will have a riverside promenade, and also in the pipeline is an exclusive river shuttle service that will take its residents to and from Mandaluyong.